The Indian plant covers a total surface of 8,000 square meters, 4,500 of which are covered and dedicated to the production areas for the manufacturing of Hot End components (catalytic converters) and Cold End components (mufflers). At full stretch, the plant will have a production capacity of 400,000 Cold End components and 150,000 Hot End systems a year, and will employ about 100 workers. The new plant replaces an existing nearby structure dating back to 2009, and meets expansion and modernization requirements, allowing the product portfolio to be expanded to include cold end systems and ensuring more room for production activities. For Magneti Marelli, the new plant in Manesar and the other production facility in Pune - which supplies Indian customers located in India’s northern and western region - represent an important and strategic presence on the Indian market in the specific sector of exhaust systems, especially in view of the issues pertaining to the reduction of emissions and of future regulatory scenarios. With the inauguration of this new plant in the New Delhi area, Magneti Marelli further strengthens its presence in India. Since 2007, Magneti Marelli has in fact duplicated the entire industrial footprint in this country, with eight production plants in the following areas: powertrain, lighting, exhaust systems, suspensions, shock absorbers, electronic systems, infotainment and navigation. “Magneti Marelli in India is by now a consolidated and growing presence that contributes to the evolution of the automotive sector on a lively market with a positive outlook in the medium and long-term - stated Eugenio Razelli, CEO of Magneti Marelli. 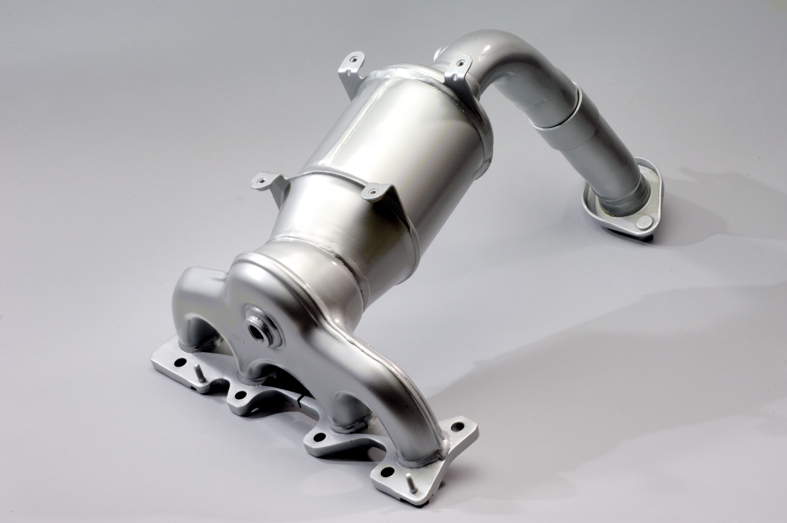 In the specific area of exhaust systems, we have built a footprint that ensures us a strategic positioning on the market, in a critical technological area in view of the new scenarios tied to the reduction of polluting emissions, as well as the presence in two geographic areas which are crucial for the automotive sector in India”.